"Now he is completely gone crazy" you will think, because now he starts to write about diseases. Don't worry this will be the only blog post on health topics. But maybe one or the other will stumble over this post while googling and save his vacation. That's why I don't want to keep my tip to myself. On my first day of vacation in Greece I caught a painful bursitis at my elbow. 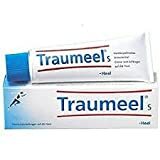 So far I thought a bursa (german "Schleimbeutel") was a dirty word, but no, we humans have something like this in almost every joint. Nevertheless, "bursa" or "Schleimbeutel" is still a very suitable swearword. If such a bursa is inflamed, then first of all there is an end to any movement of the joint. Strong oppressive and/or stabbing pain severely restrict everyday life. I have no idea where the bursitis came from: Either because of excessive "mechanical" stress playing the guitar the day before, or because of bacterial infection due to a graze wound. In the evening I fell asleep without pain, at night I woke up in pain. Great, one day before vacation. So the first search on google throw me the results of what is wrong with me: Bursitis. Then usual inflammation treatment: Ibuprofen 400 against pain and inflammation, cortisone ointment against possible infection, and otherwise cooling, cooling and cooling. Nothing really helped. I thought the vacation was over, I could not sleep at night, in the morning I had pain, so badly that even the appetite remained on the distance. And that may mean something to me. I had already resigned myself mentally to a holiday break and a visit to the doctor. On the second day I wanted to go into the water at least once, no matter if I could move my elbow or not. I am the last one who somehow believes in miracle healing or any nonsense and that's exactly why I was so amazed at what happened when I went into the water. In the water, the pain eased by 75% the first time I bathed within 3 to 5 minutes. The water relieved the joint and even the movement of the arm under water was limited possible again. And that is important. Because careful movement within the pain limits is probably important for the healing process if you believe the Internet at this point. Altogether I went 4x for each 30 minutes into the salty Mediterranean water and in the evening I could serve with the left hand again the fork in the restaurant. For comparison, I couldn't hold a roll in the morning because I couldn't move my hand towards the edge of the table. When trying to open a shirt button with my aching arm I could have screamed. On the second day I could even swim carefully with the affected arm. Of course still without load. To what extent, or if at all, the salt in the sea has made a contribution here, I cannot judge, but in any case the careful bathing has helped me very much. Better than ibuprofen, cortisone, cold packs and ointments. So if you have a fancy bursitis again: Off to the cool (salty) sea water. And an important tip: For the healing it is important that nothing accumulates in the arm/leg, etc.. Therefore: Take off watches or jewellery, even if it's loose.